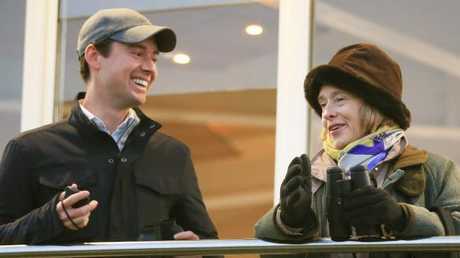 FOR an industry where timing is everything, the alarm clock setting was the first indication Hall of Fame trainer Gai Waterhouse had rediscovered her passion for racing. 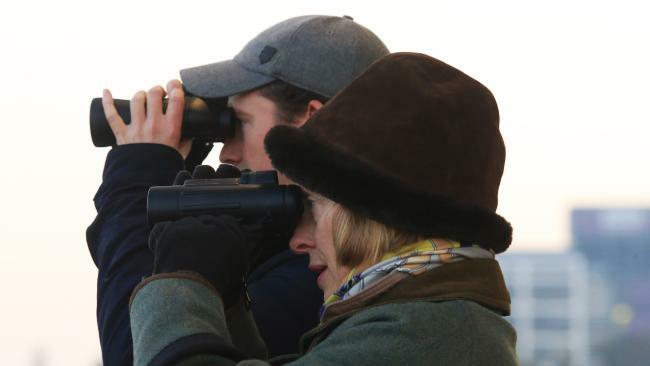 Racing's first lady makes every second count in her busy daily schedule and it was her husband who noticed a small change in long-followed routines at home that let him know the spring was back in his wife's step. "I set Gai's alarm and she used to get up at 2.25am each morning but now I am setting her alarm for 2.12am,'' he said. The difference is only 13 minutes but that is a lot for the trainer. 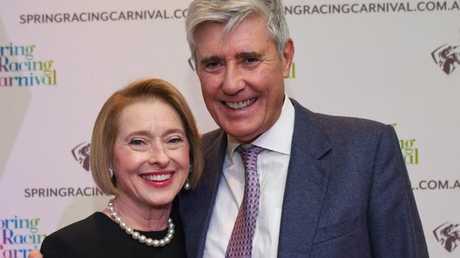 "Gai can't wait to start her day, get to the track and be with the horses,'' Waterhouse said. After a sustained period where the Hall of Fame trainer found herself becoming bogged down in the daily grind of managing a large stable - being pulled in all directions - training racehorses has become fun again. "What I really love about my job is the horse side of it,'' she said. "Being able to work with the horses, watching them, nurturing them, seeing them develop is so interesting and fascinating. This wasn't the case a few years back when Waterhouse was trying to manage the running of her Tulloch Lodge stables and train her large team of horses. The demands on her time, the relentless pressure, was taking a toll. "For a few years there, Gai was finding the business side of her job irksome,'' Rob Waterhouse said. Her decision to form a training partnership with Adrian Bott in 2016 surprised many, but it has proven a masterstroke. "It's wonderful working with Adrian,'' said Waterhouse, who turned 64 last Sunday. With Bott sharing the load with Waterhouse, they have become a formidable team in the past two years, preparing more than 300 winners - 51 at stakes level, including five Group 1 wins - for stable earnings of more than $21 million. 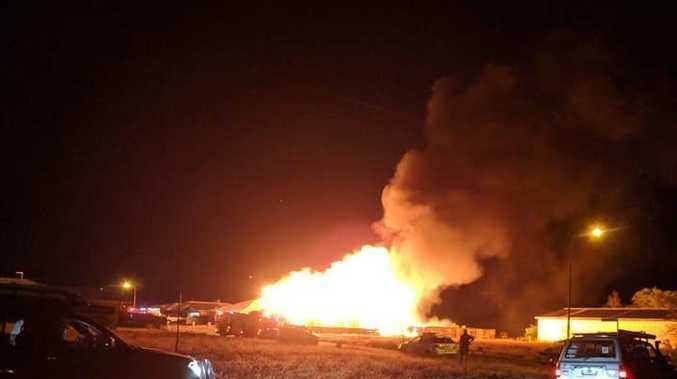 "I think everything is going well, the results have been there for us,'' Bott said. "Gai is an extraordinary person who is always there wanting to help and educate people. She has certainly helped my career. "The most important thing I have learned from Gai is her attention to detail - and that rubs off on you. The stable has plenty of equine firepower this season, with some older, proven top-liners supported by an exciting group of three-year-olds and their usual array of rising two-year-old talent. This is demonstrated at Rosehill Gardens on Saturday, where Waterhouse and Bott are represented by promising three-year-old Master Ash in the Group 2 $200,000 The Daily Telegraph Stan Fox Stakes (1500m) and the emerging Siege Of Quebec in the Group 2 $200,000 Theo Marks Stakes (1300m). Former English stayer Joshua Reynolds makes his Australian debut in the Iron Jack Handicap (1800m) and Pandemonium lines up in the Canadian Club Handicap (1500m). The stable also has a powerful presence at Moonee Valley, with the Japanese-bred, former French stayer Hush Writer having his first start Down Under in the Harrolds Handicap (2040m), comeback galloper Northwest Passage runs in the Craig Opie Cup (1600m) and three-year-old Sydney Blue is in the 1 Print Handicap (1500m). Master Ash, who has had four starts for two wins and two seconds, is coming off an impressive win in the Up And Coming Stakes. Waterhouse acknowledges her colt needs to improve again when taking on the likes of unbeaten The Autumn Sun. Siege Of Quebec is a lightly raced four-year-old who has won three of his eight starts. He is yet to win a stakes race but has considerable potential, as evidenced by his competitive effort when second to proven topliner Le Romain in the Group 3 Show County Quality last start. Pandemonium, who was placed at stakes level last campaign, is a mare Waterhouse also rates highly. She impressed first-up when a close third to Madam Rouge and Tarabai in a strong midweek mares' race at Canterbury last week. Joshua Reynolds is by former European champion Nathaniel and won three of his eight starts in England. The five-year-old gelding has had two trials for the Waterhouse-Bott stable and is one of the more interesting runners at the Rosehill meeting. Similarly, Hush Writer's first-up run at Moonee Valley will also be watched closely as Waterhouse is hoping to get the stayer to the Melbourne Cup this spring. 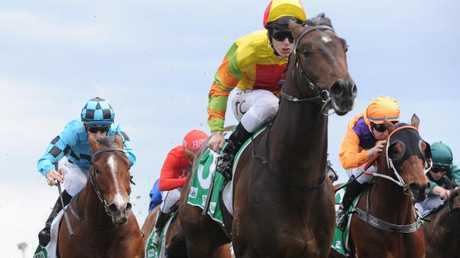 "Hush Writer is a stylish horse, a lovely mover,'' Waterhouse said. "We bought this horse in Japan and then sent him to France to race. When (trainer) Criquette Head retired, we decided to bring the horse to Australia. Northwest Passage, a Tasmanian Derby winner last year, resumed after an 18-month layoff with a good fourth to Mister Sea Wolf in the Rowley Mile at Hawkesbury. The gelding, winner of five of his previous seven starts, is a winner at Moonee Valley in the Group 3 Torney Cup last year. Sydney Blue is coming off a Kembla Grange maiden win but Waterhouse is convinced the three-year-old will be competitive tomorrow. Waterhouse and Bot are also counting the days until the $13 million The Everest (1200m) at Royal Randwick on October 13 as they have secured starts in the world's richest turf race with their brilliant mares English and Invincible Star. English, a dual Group 1 winner of nearly $3.5 million, has had two barrier trials to prepare for her return to racing in The Shorts at Randwick next week. Invincible Star resumed after a lengthy spell with a competitive third to reigning Everest champ Redzel in the Concorde Stakes last Saturday. 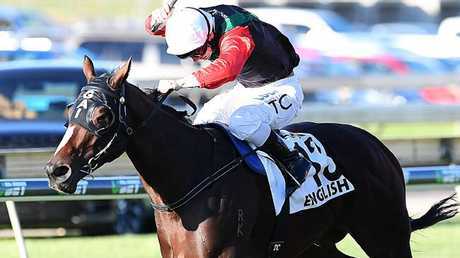 "We are really happy with how English is coming up, she's just an outstanding mare,'' Waterhouse said. "Invincible Star was huge last week. She hasn't run for a long time and will take a lot of improvement from that run. Waterhouse has achieved just about everything in racing since she started her training career 26 years ago. She's prepared the winners of 139 Group 1 races, including six Golden Slippers, seven Doncaster Miles, seven Epsom Handicaps, four Queen Elizabeth Stakes, eight The Metropolitans, eight Flight Stakes, a Melbourne Cup, Caulfield Cup and Sydney Cup, plus seven Sydney trainers' premierships. Rob Waterhouse has predicted the Waterhouse-Bott combination is only going to get stronger and could one day challenge for the Sydney trainers' premiership again. "Chris Waller does an extraordinary job but things can change in this game and I don't think Gai's days of winning the premiership are over,'' he said. "She is really enjoying training in partnership with Adrian and being more hands-on with the horses. She loves developing young horses into something special. "Gai can see things in horses that others don't see, that is one of her great strengths.